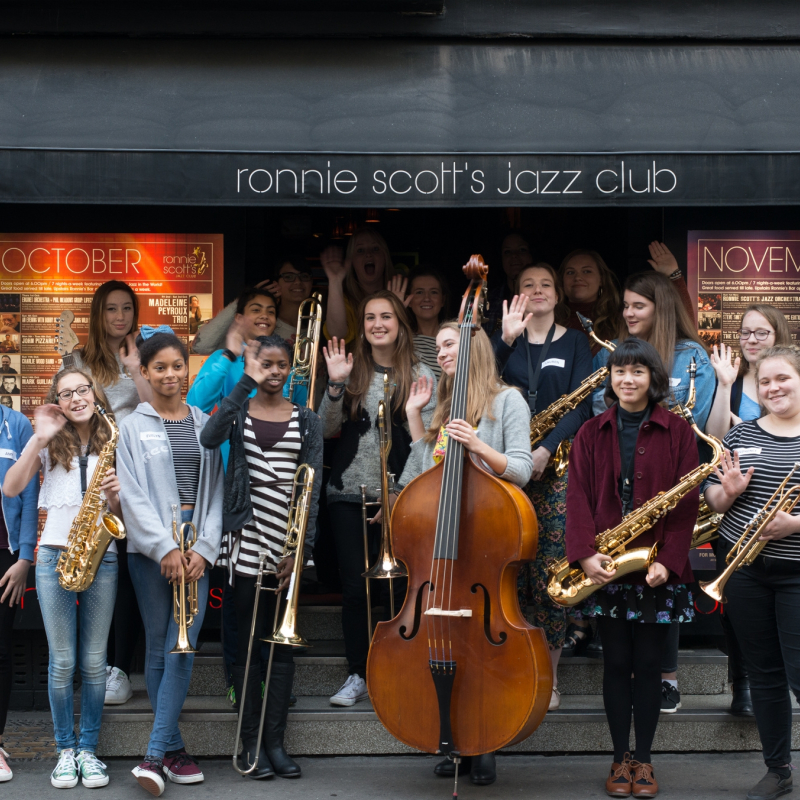 Established in January 2012, ‘Big Band In A Day’ is Ronnie Scott’s outreach scheme for developing young musicians in the UK. 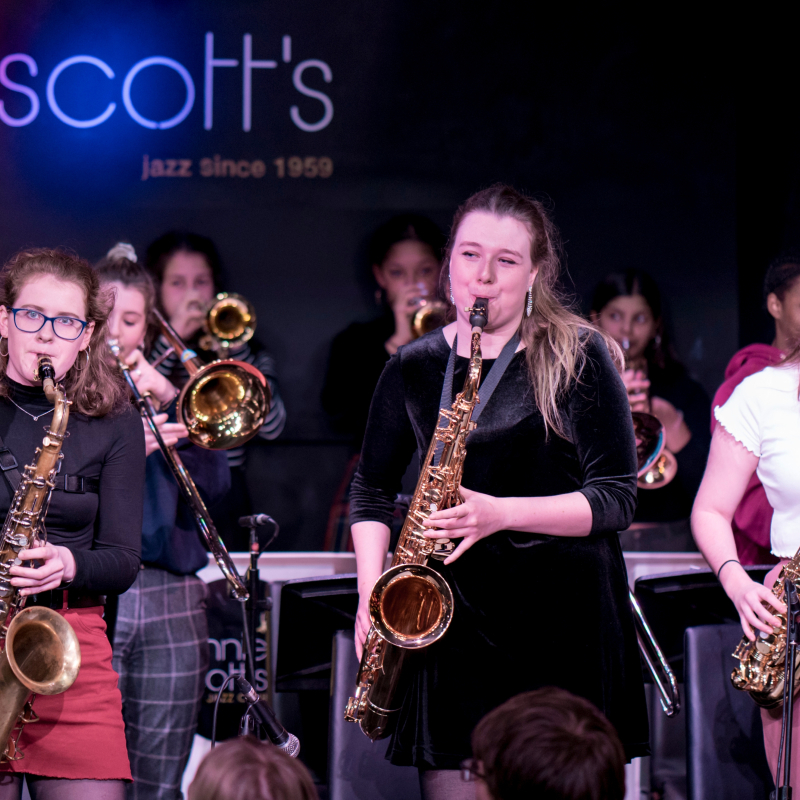 Once a month, we invite young musicians to play in a free one day workshop where they will play and practice as a Jazz Big band and will perform two pieces on the Ronnie Scott’s Jazz Club main stage that evening. This great workshop led by Pete Long (RS Big Band conductor and artistic director) has welcomed more than a thousand school children from London and around the country. 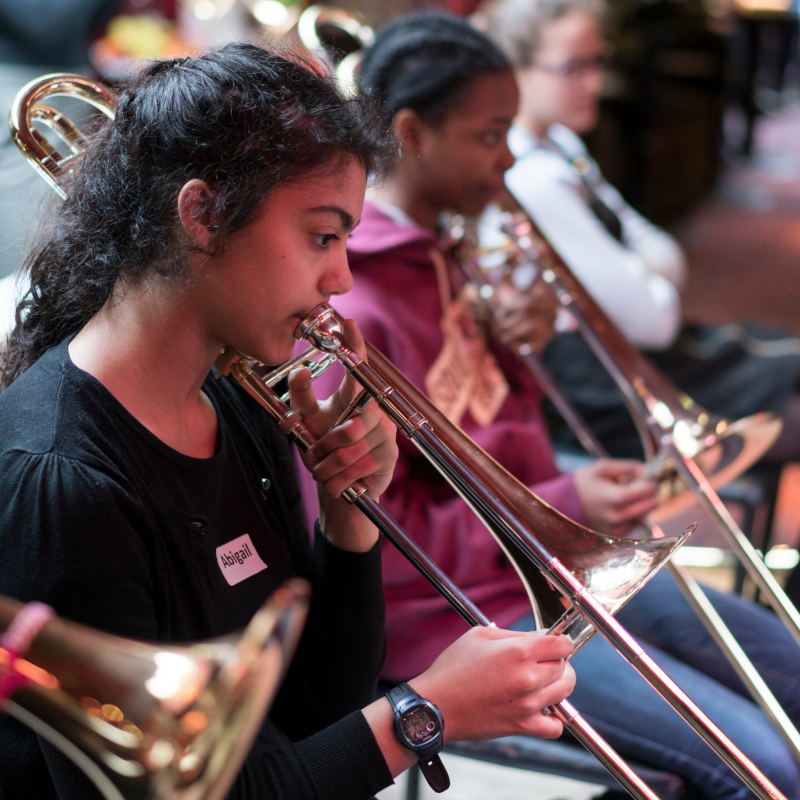 The aim of the workshop is to give the children a core grounding in the skills and disciplines and sounds of a big band, with an emphasis on playing by ear and improvisation. 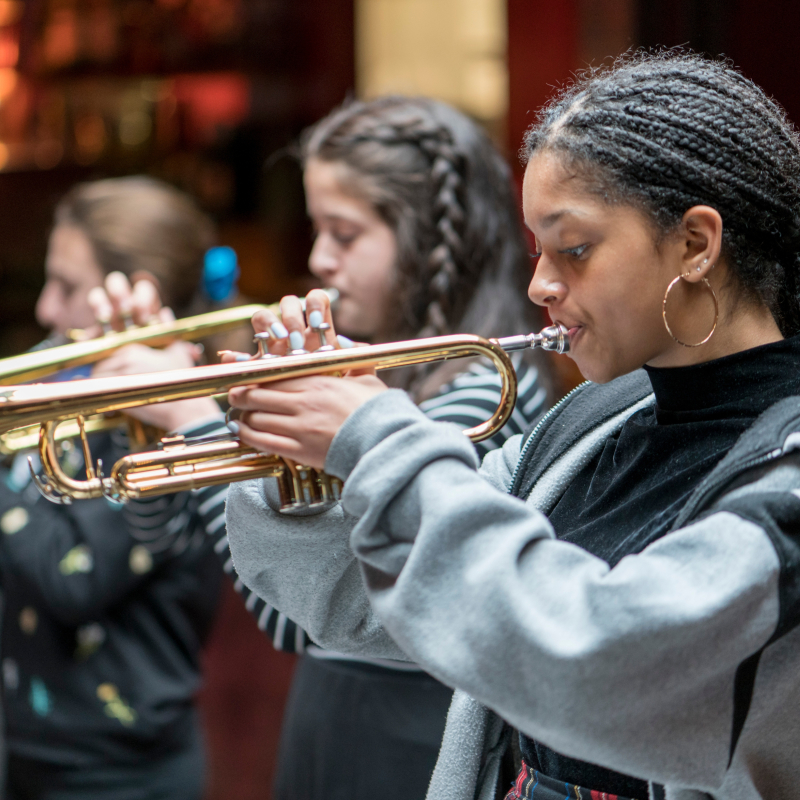 We believe at the Ronnie Scott’s Charitable Foundation that music should be accessible to all regardless of their gender, background or social status. We are dedicated to help the next generation of female jazz musicians by giving the space, mentoring and help they need to achieve excellence. We also believe that lack of role models and opportunities are a huge obstacle for young women wishing to develop their jazz music career. In 2015, we organised the first all-female big band via our ‘Big Band In A Day’ programme, bringing together 18 players that have never met and turning them into a jazz big band. Since the experience was so successful and the feedback was so positive, we decided to re-invite the same band to play again last March. #womensdayspecial Celebrating the ladies in jazz @ Ronnie's ! The next generation is here !